Extra-Large Realtor Magnets Boost Home Sales in Orlando! One of the most competitive industries in the country is the real estate market. There are an endless variety of agents competing for clients. In order to stand out from the competition, you need to come up with creative ways to market your listings. The GCI Guys realized this, so they contacted the friendly experts at Citrus Sign Studio for extra-large Realtor magnets for Orlando. Who Are the GCI Guys? The GCI Guys are Lee Goldberg and Gary Cohl. They are former TV sportscasters, who decided to try a new career track in 2010, and they have never looked back. They specialize in selling homes, helping clients buy homes, and finding rentals. They do bank owned properties, traditional sales, and short sales. They pride themselves on putting the customer first with fast and informational customer support. 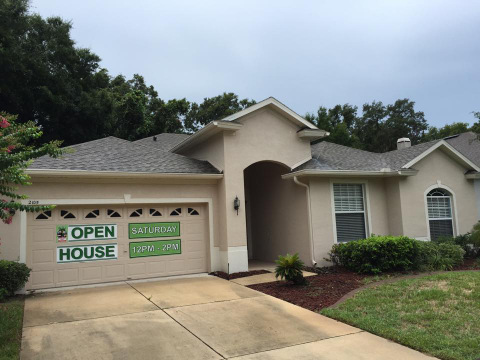 When a business that provides such a valuable services to area homeowners and potential buyers came to us for open house Realtor magnets in Orlando, FL, we were more than happy to help. The GCI Guys were looking for an easy way to use the giant empty space afforded by a garage door to assist in selling their homes. Fortunately, they called the right people. After scheduling an initial consultation with the GCI Guys to learn about their company culture and vision, our graphic designers came up with some proofs of potential signs that would meet their goals and budget. Once they were satisfied with the artwork, we fabricated their new marker. We started with a three feet by ten feet magnet sheet. 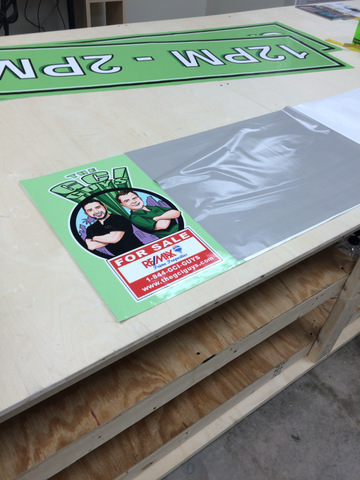 We then printed out the graphics, including the GCI Guys’ logo, on top quality adhesive vinyl using our state of the art wide format printer. We then applied the vinyl to the magnet sheet. As you can see, this was the perfect choice for advertising an upcoming open house. And, the days and times can easily be changed out. In the end, the GCI Guys were completely satisfied with the job we did. You are likely familiar with the Realtor magnets that are placed on vehicles when agents are on the job. These are a great option for building your brand around town. 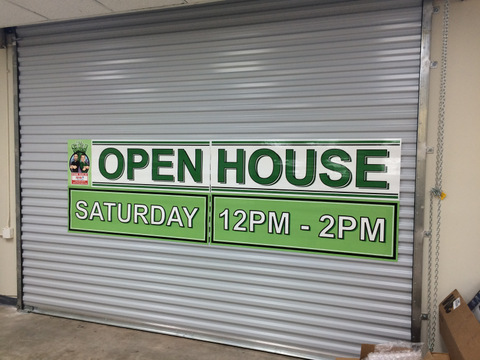 However, if you really want to promote a specific property, garage magnets are a smart alternative. They take advantage of one of the largest “canvases” on the house: the garage door. Plus, they are reusable for many years to come. Our real estate sale sign garage door magnets are now available in our online store. 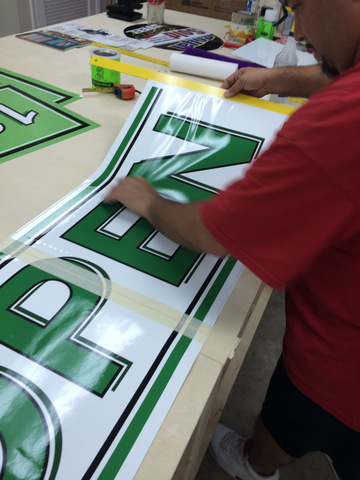 You can choose from more than half a dozen standard colors, or we can customize your graphics or text. Best of all, we can ship your garage door magnet anywhere in the country. These magnets are easy to transport and do not stop the garage door from going up or down. Are you ready to put your real estate marketing campaigns into overdrive? 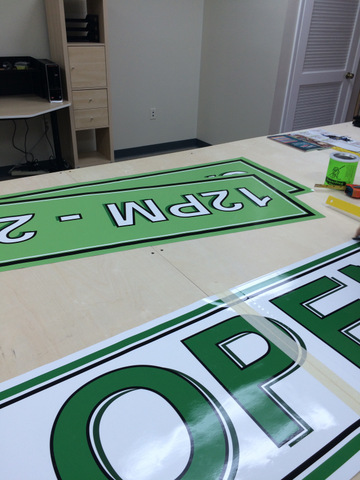 Visit the Citrus Sign Studio secure online store at https://squareup.com/market/citrussign, or click below for a free consultation and estimate!